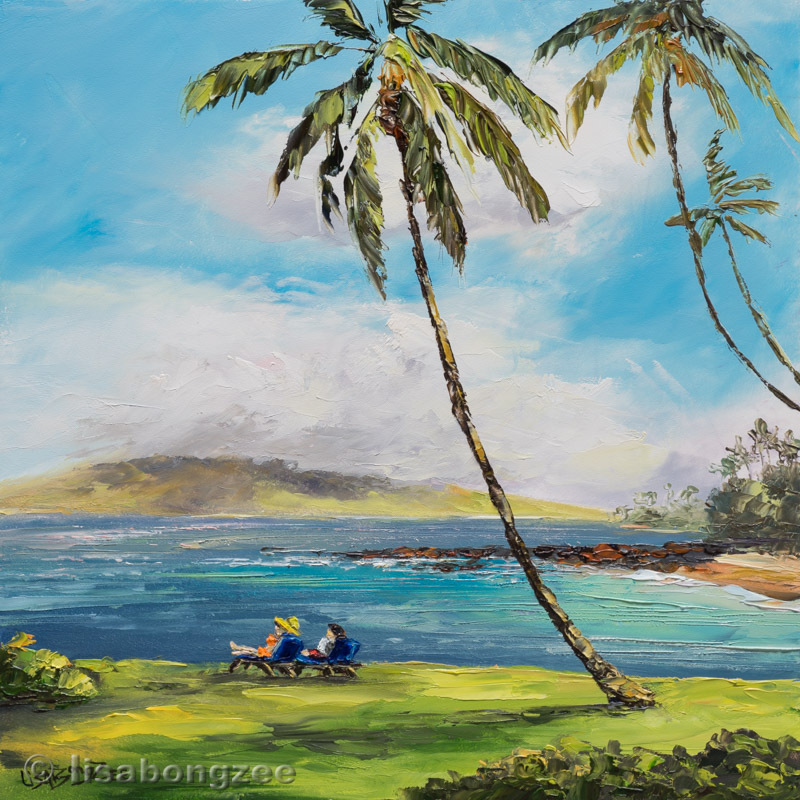 Just came across this long lost news clip of a KGMB Sports Challenge between news anchor Howard Dashefsky and I back in the good ol' days! 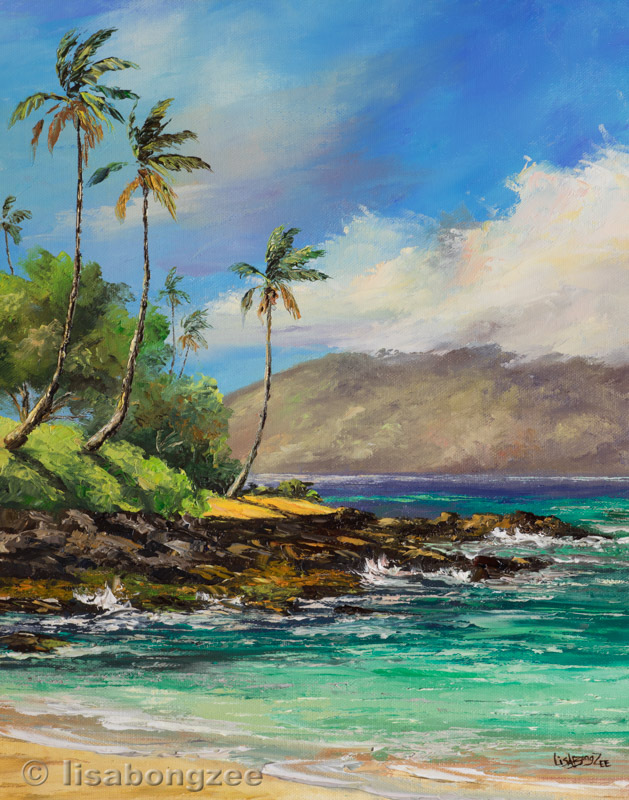 will reveal Big Beach, also known as Makena Beach. 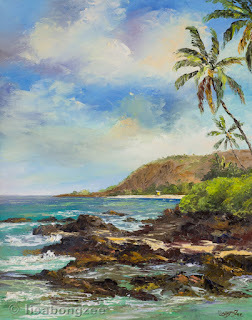 on Makapu'u Beach this very morning. 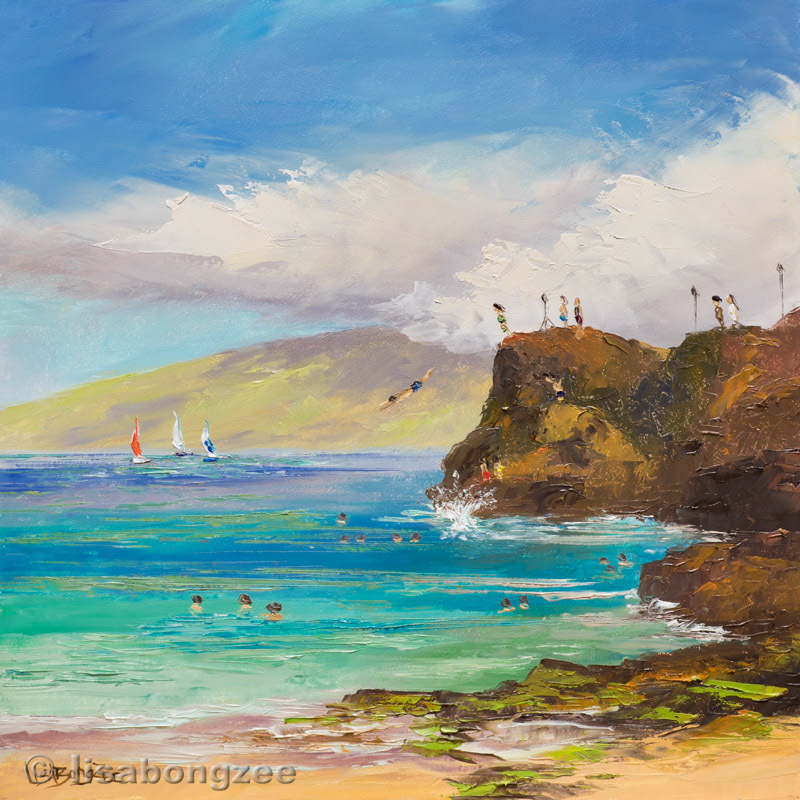 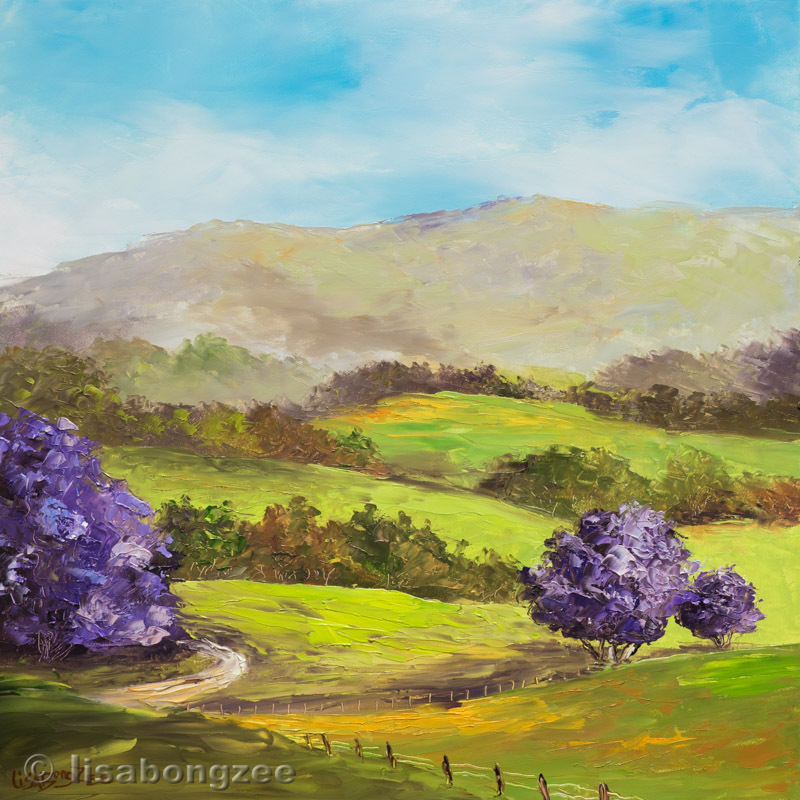 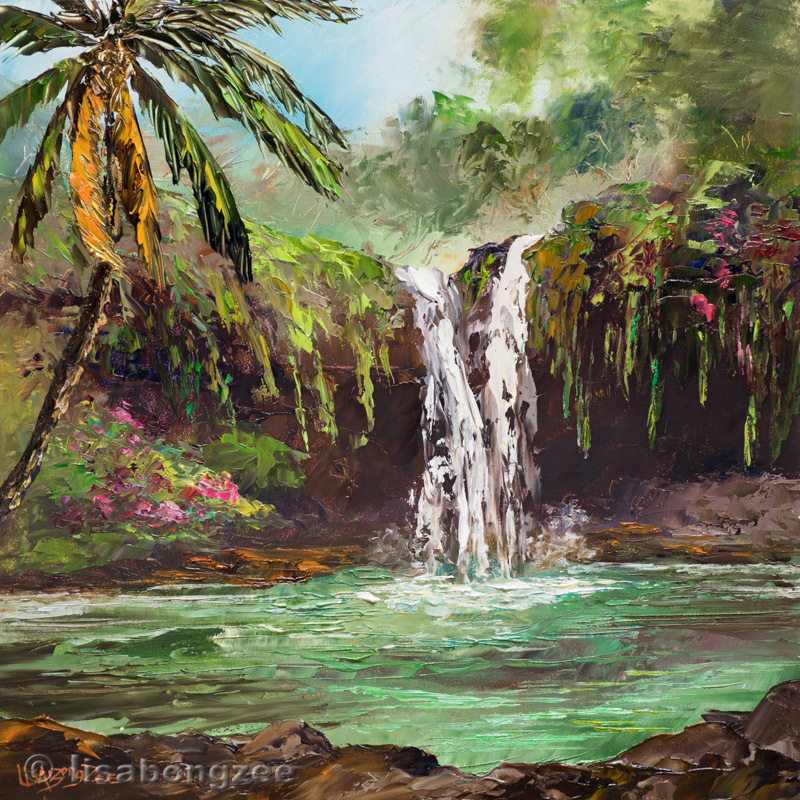 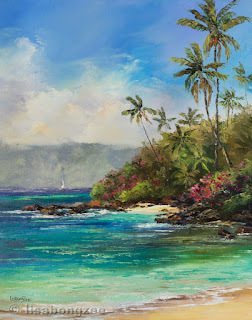 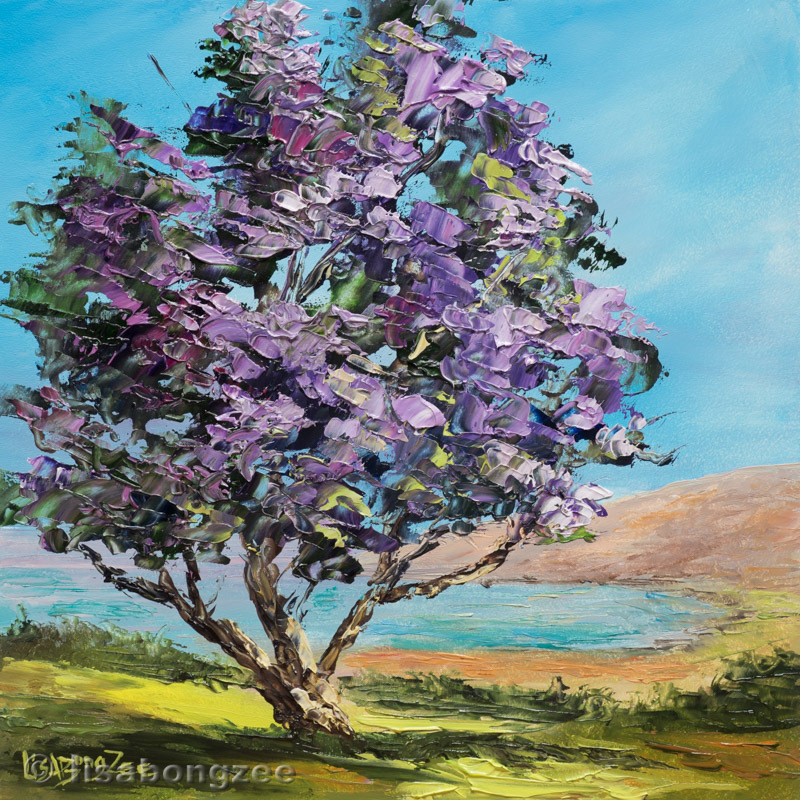 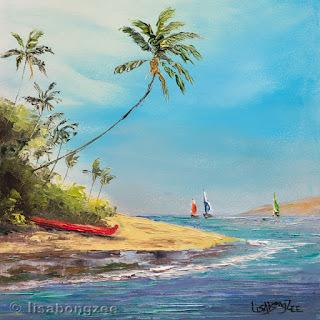 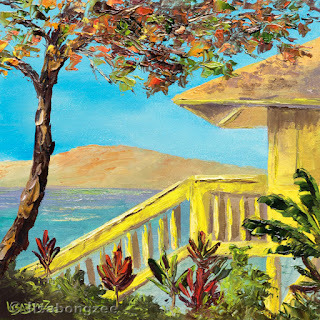 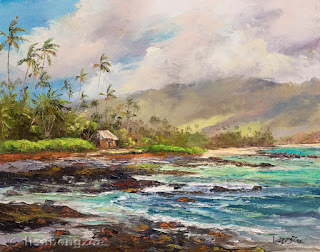 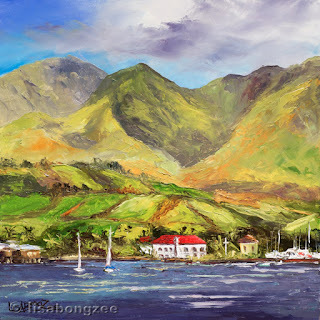 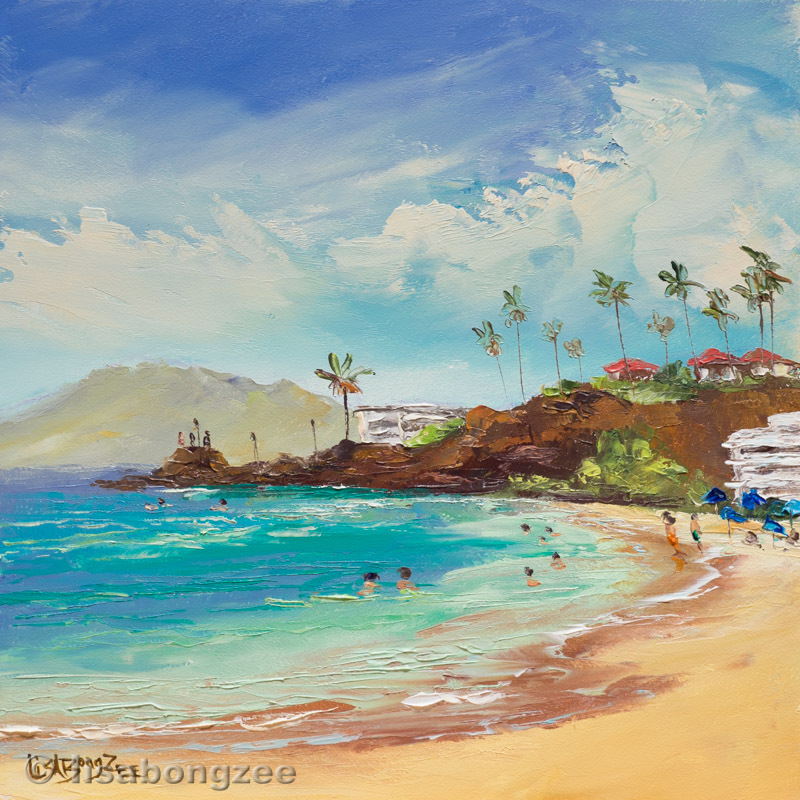 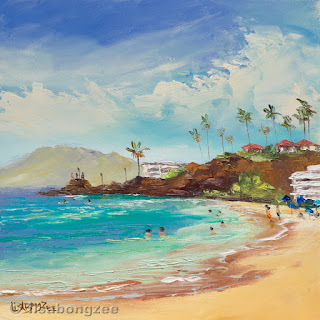 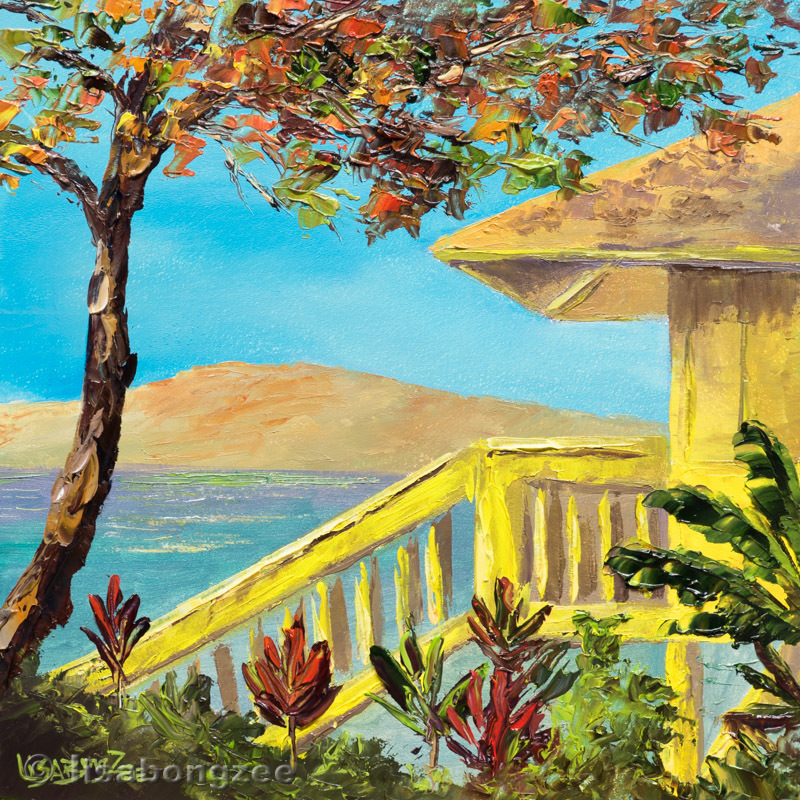 "Ho'okahi Makamaka O Ko Aloha"
With many spectacular views, Kahana is a place I love to paint. 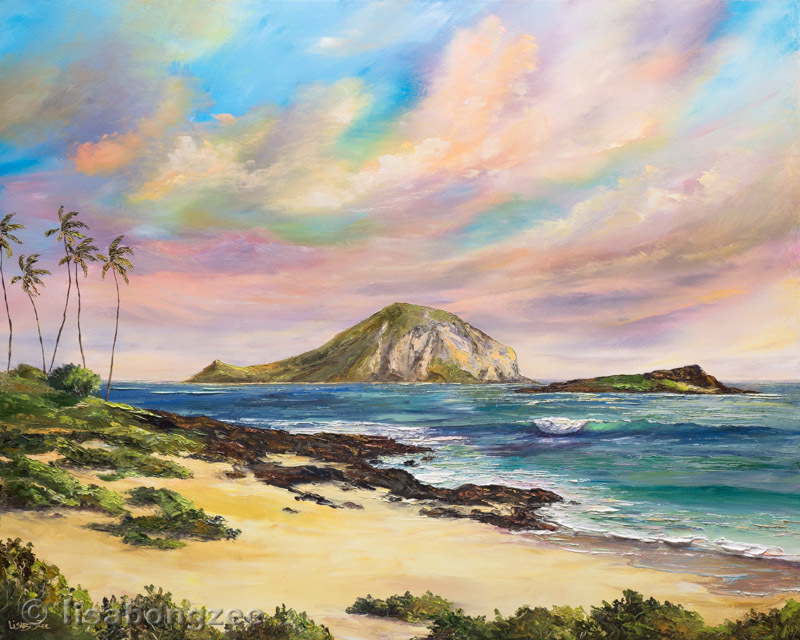 View looking north, with the island of Moloka'i in the distance. 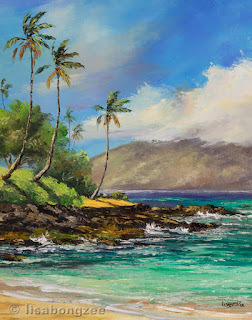 View looking south, with the island of Lana'i in the distance. 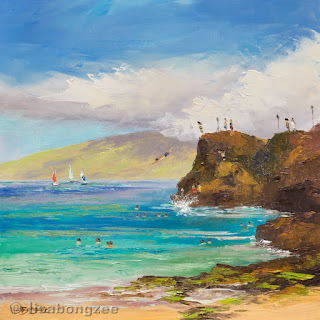 I know, I know, I should be painting some Oahu mini's, but something about Maui is just so EASY to be inspired by, I really can't help myself! 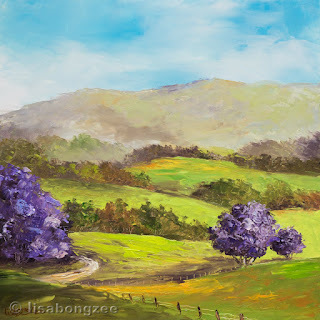 This painting nearly painted itself and I was very happy with the results. Now, if I could only find a hale of my own just like this!